Debutantes in love. With each other. Grace Dunlop is the eleven-year-old girl with everything, including a trust fund. Transplanted from London to the United States, her life is forever changed when she meets the precocious and irreverent Harper Alessi. Attending black tie balls and fielding boyfriends, the two girls develop an unusually close friendship that endures into college. Finally presented as debutantes by their proud parents, they hope for an end to the close hold their family has on them. It's 1984, after all, and they have choices, don't they? Maybe that's why all the songs on the jukebox suddenly suggest a dangerous passion they haven't been able to express. Gina Daggett is best known as 'Lipstick' of the columnist duo Lipstick Dipstick, and as an award-winning writer and successful blogger. 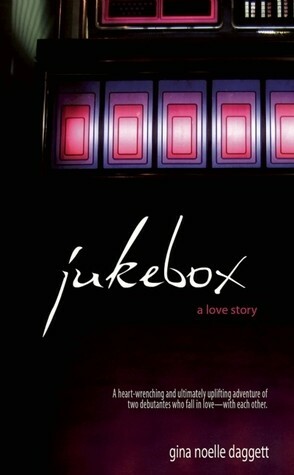 Jukebox is her first novel, and is in pre-production for a feature film.